PatanjaliTejus body lotion holds the reputation of a very good skincare herb. Usedexternally and internally, it helps one to gain lustre and glow (of the skin)and aids to remove pimples, freckles and discoloration. It is a drug of choicefor treating various systemic problems like raised uric acid and goutyarthritis, glandular swellings, recurrent skin infections and other diseases ofthe skin like pigmentation anomalies and leucoderma. 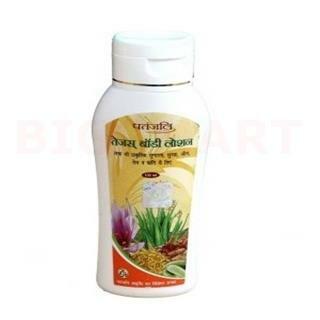 Manjishtha promotes thehealing of skin tissues damaged by injury or infection. It gives glow to skinand keeps some harmful bacteria away from the body. Turmeric extract and theessential oil of turmeric inhibit the growth of a variety of bacteria,parasites, and pathogenic fungi.